Ethan Iverson and Mark Turner team up on an austere and elegant album that belongs to a growing field known as chamber jazz. At long last, Ethan Iverson is no longer leading a double life. For most of this century he has had conflicting musical identities. For one, he was a member of the Bad Plus, one of the most popular groups in jazz; the rambunctious group was sometimes promoted as a power piano trio and often did its best to act as if subtlety were an enemy. For another, he created ambitious and abstract works for intimate ensembles, and he blogged enthusiastically about jazz, often highlighting underappreciated elements of the genre’s history. Late last year, the Bad Plus announced that Mr. Iverson would be leaving. Since playing his final gig with the trio on New Year’s Eve (pianist Orrin Evans has succeeded him), he has increased his individual recording and gigging as well as his blogging, and he has begun writing about music for the New Yorker. He has gone from one of jazz’s leading popularizers to one of its leading geeks. 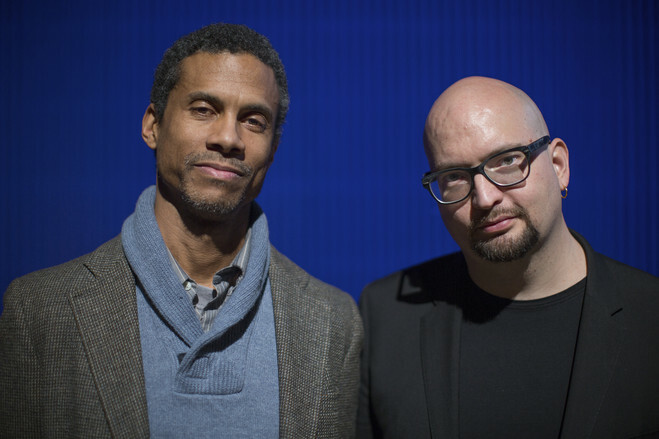 “Temporary Kings” (ECM), a duet session with the outstanding saxophonist Mark Turner, is Mr. Iverson’s first release since his departure from the Bad Plus, and it reflects the gulf between his independent activities and the sound of his erstwhile band. 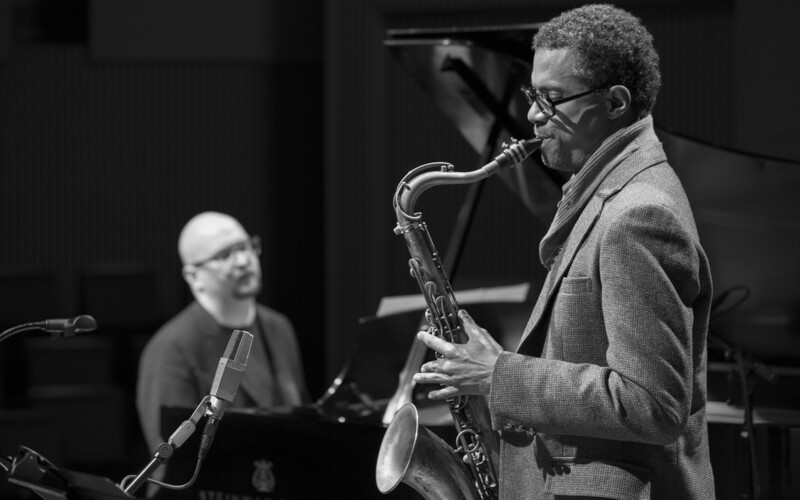 The music is austere and elegant and belongs to the growing field of chamber jazz. The sounds draw you with their reserve; the spaces between the notes often have as much impact as the notes themselves. Some of the recording is reminiscent of the subdued complexities of the Lennie Tristano/Warne Marsh “Cool School” approach to jazz, developed in the ’50s. The nine performances on the 54-minute recording—six composed by Mr. Iverson, two by Mr. Turner, plus a cover of Marsh’s “Dixie’s Dilemma”—seem to divide into three segments. The first third of the recording, which features three Iverson works, is contemplative. The Cool School influence is apparent in the restraint and gentle abstractions, but there’s a litheness to the players’ interactions. Each musician responds to the other and tugs the music in striking directions. The second third is less opaque. The pace picks up and the tone lightens for “Dixie’s Dilemma,” which echoes the Jerome Kern/Oscar Hammerstein II standard “All the Things You Are.” Mr. Iverson performs solo on his “Yesterday’s Bouquet,” a wistful ballad. “Unclaimed Freight” borders on playful. The recording’s final three pieces are clear and precise, with both ruminative and straight-ahead aspects. Mr. Turner’s composition “Myron’s World” flows gracefully, his saxophone lines augmented by Mr. Iverson’s impressionistic piano. The pianist’s “Third Familiar” is haunting, and the recording comes full circle at the conclusion with Mr. Turner’s “Seven Points,” a slow, tender meditation. Mr. Turner, who is 52 years old, and Mr. Iverson, who is 45, met in the early ’90s when they were frequent participants in jam sessions in New York. They are half of the Billy Hart Quartet, which has released three widely acclaimed recordings, and they write for each other. Mr. Iverson’s “Turner’s Chamber of Unlikely Delights” appears on this album. Mr. Turner’s “Iverson’s Odyssey” appears on the first release by the Billy Hart Quartet. Their rapport highlights the new recording. Mr. Turner is a cerebral saxophonist and an excellent duet partner; he also appears on the stunning “Faroe” (Sunnyside), an August release with Danish guitarist Mikkel Ploug. In the press release for “Temporary Kings,” Mr. Iverson says that Mr. Turner’s playing makes him listen harder, which is an apt comment about what both men do for their audience. The duo will tour the Midwest and Northeast Sept. 13-20, including an appearance at the Jazz Standard in New York on Sept. 18. They will tour the West Coast in October. This entry was posted in Archives, Arts, Jazz, Music, Uncategorized and tagged Arts, jazz, Music, WSJ. Bookmark the permalink.